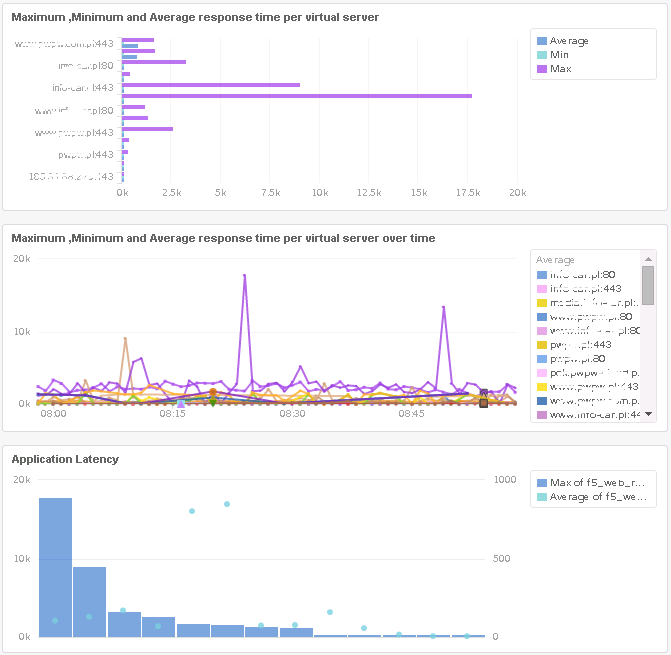 General view shows errors in access to the BIG-IP, tmm process errors and other (mostly empty). Next is an overall view of the status of individual members in the pools. This is very interesting information which simply do not get with the AVR. 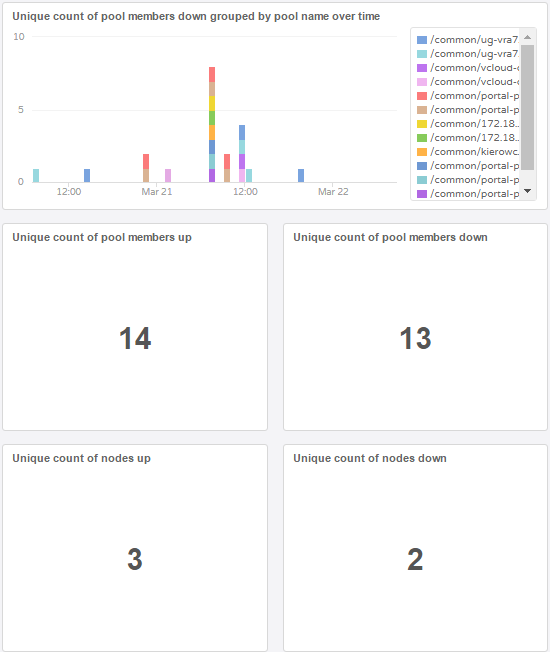 Often member disconnection from the pool can mean problems with the network or the server (node) and it is worth to look at them closer. 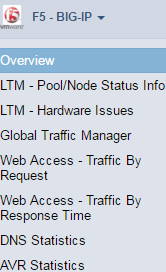 Another interesting view is the Web Access – Traffic By Request. 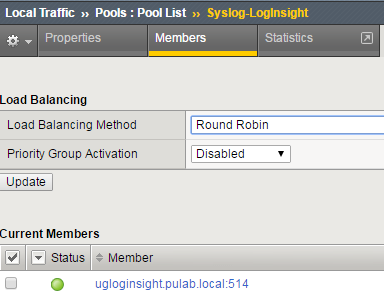 This view will catch the busiest pool members and check what Virtual Server is the most “talkative”. 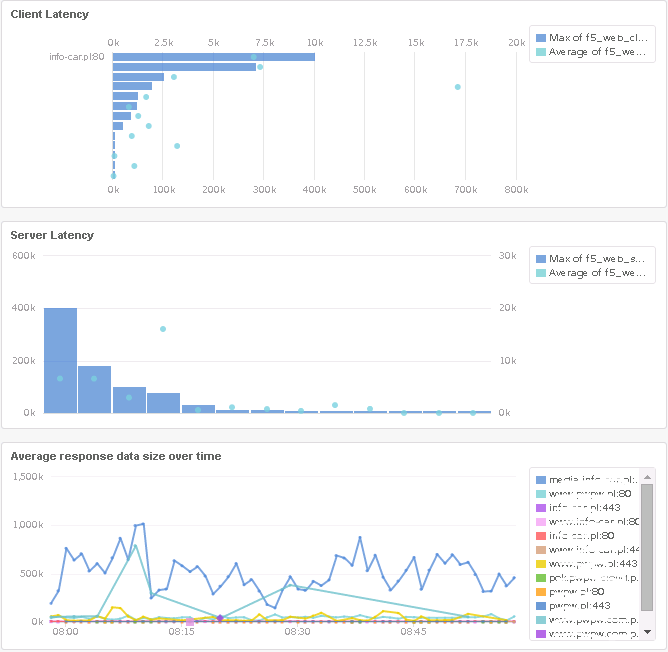 In addition we check client requests, and we can go in the “Interactive Analytics” and see exactly what is happened. In view Web Access – Traffic By Response Time we check the response broken down into servers, applications, client and the size of response over time. With each piece of information we can go into analysis mode and check what exactly has happened in the time of the selected object. If you use a Log Insight cluster is a need to provide the IP address common to the entire cluster. Then, in the System-> Logs-> Configuration-> Remote Logging add Log Insight as a syslog server. In the Log Destination create two configurations, one to Remote HSL (High Speed Logging) indicating the pool we created earlier. 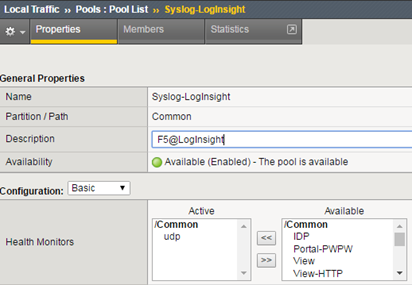 The second is the standard syslog with an indication of our established HSL. 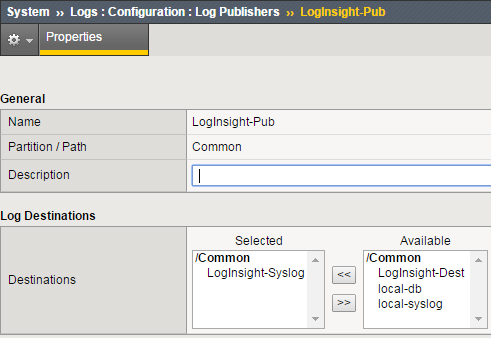 Then we create a new Log Publisher that will send logs to created by us Log Destination (syslog). Send logs from the VS does not take place globally, for each server that interests us we must create a separate configuration. 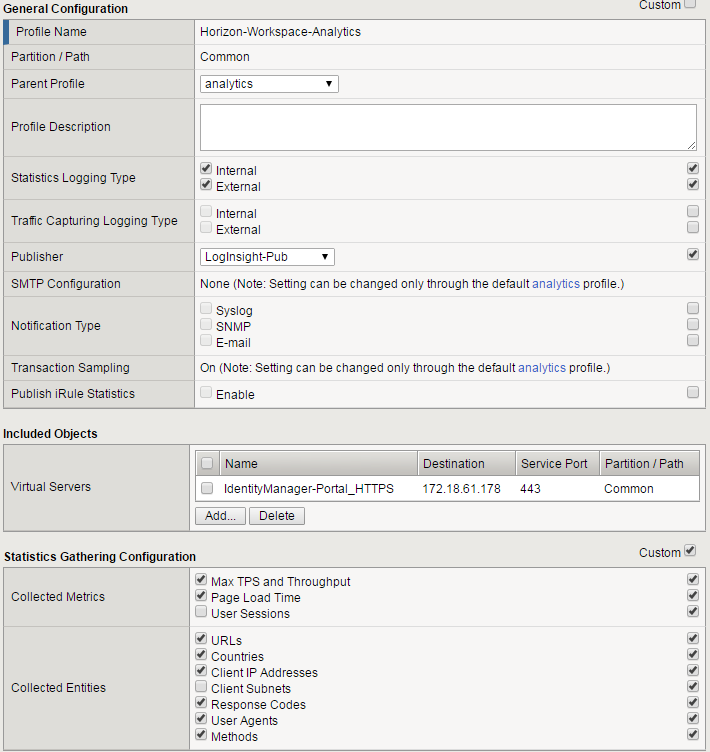 As already mentioned, the AVR module is required, therefore, we start by creating (or configuring existing) analytics profile. In this profile we select Logging Type as External (and Internal for AVR) and choose created by us Publisher. Profile strapped into the interesting Virtual Server. 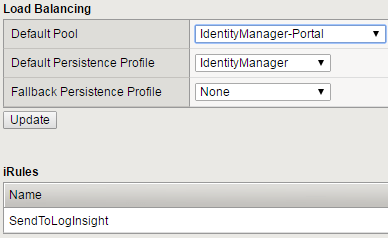 In my case, I called her SendToLogInsight and strapped her to interesting me VS. 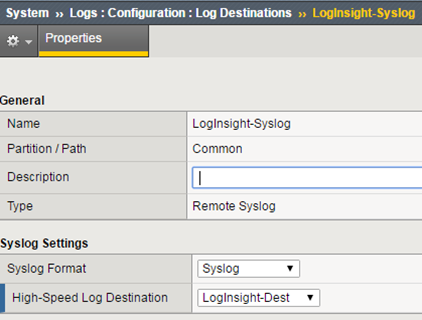 If you have all the necessary components, install and configure the entire set. 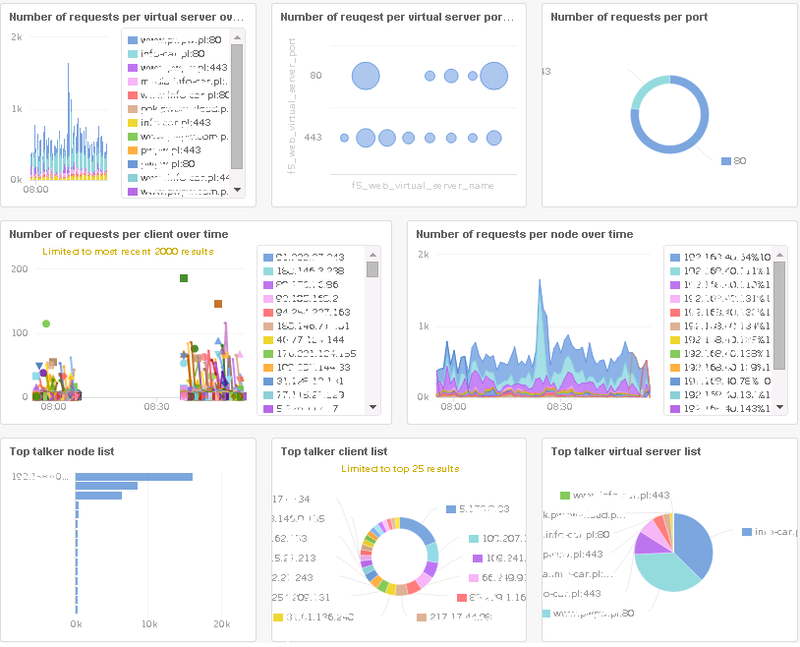 It provides a really interesting information and opportunities to analysis, benefit from it so for BIG-IP and VMware Administrators and for those who are responsible for individual applications. wanted to now if there configuration meets the AVR statistics tab in logindight 4.5.1 i dont have DNS module only LTM AVR is enabled on F5 side with no statistics. can you think of any reason why my AVR tab on loginsihgt is empty?